Rhic Webb is described by his external lawyers as ‘a very strong lawyer who has a very good eye for detail’. He says that increasingly his time is spent in corporate matters, as well as ‘the nuts and bolts of insurance and reinsurance issues’. Edward Davis has made his mark at AXA UK. He established the French insurer’s first global legal panel as part of its ‘Ambition 2012’ strategy launched back in 2004. 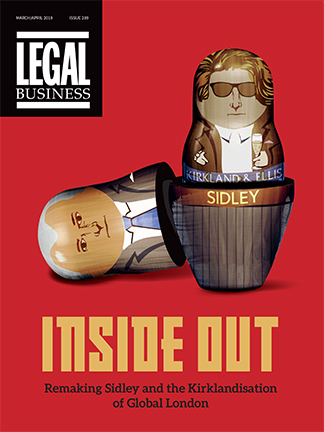 This panel comprises 12 firms fighting over the £3m AXA spends on law firms every year. Davis has grown his legal in-house team to 40 lawyers and manages the group legal department, group secretariat and the UK compliance team.